NFTU: We were requested by an RTOC cleric to post the following letter by Fr. Victor Melehov, Protopresbyter of the RTOC, to a parishioner in which he gives his views on the subject of Bp. Andrei (Erastov). Dear ______, Thank you for forwarding Fr. Y’s correspondence (i.e., the link to “Bishop” Andrei Erastov’s response to Vladimir Moss). By sending this response, while not adding anything from himself, he only displays a self-justifying, inarticulate manner of saying, “See! This is us!” It also further serves to underscore the fact that he (Fr. Y) does not understand the issues at hand. How can I say this? Well, the newly made “Bishop” Andrei demonstrates this himself in his response to Vladimir Moss. “Bishop” Andrei begins by flattering Vladimir Moss, and (of course) himself, by stating, “I must say, it is important to me that a well-known church commentator took notice of my work and even wrote a critical analysis of it.” Yet, he immediately admits that he did not understand it: “But unfortunately, I found nothing in V. Moss’ article to embrace nor to accept as a correction.” In other words, “Bishop” Andrei does not get it. By falling in-line behind such “hierarchical leadership,” Fr. Y demonstrates his voluntary (or perhaps intellectually involuntary) membership in the deteriorating fragments (groups/splinters) of those who just do not get it. It must be noted that this inarticulate collection is not a new phenomenon. 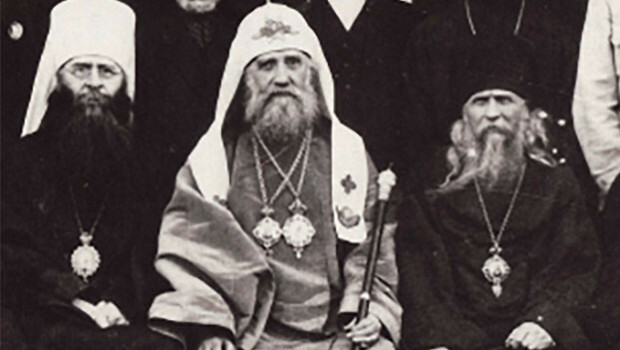 In the waning years (the 1980’s) of the “Golden Years” of ROCOR, one might consider that, in a general sense, there were three distinct groups of clergy and laity – (1) those that understood the Faith and adhered to the Faith and ecclesiology of the Fathers of the Church (let’s call them the Philaret-ites), (2) those that understood all the issues very well, but wished to unite with the MP and World Orthodoxy (let’s call them the Laurusites), and (3) those who were in ROCOR for a variety of reasons (i.e., nationality, Jordanville graduate, culture, anti-Soviet, etc. ), but had little understanding of Orthodox ecclesiology (let’s call them the Hilarion-ites). Of course, this is an over-simplification of the socio-ecclesiological conditions at that time. There were certainly those who for any variety of reasons straddled between these groups, etc. Now, why do I consider the 1980’s to be the waning years of ROCOR? Because, after the repose of St. Philaret (+1985), ROCOR began a deliberate and drastic change in its direction and ecclesiology. Already in 1980, Bishop Gregory (Grabbe), during a conversation, told me, “We are infiltrated.” When I inquired regarding what he meant by this, Bishop Gregory explained that ROCOR was already quite infiltrated by clergy and laity from the Soviet Union who had their own agenda regarding the direction of the Church. At that point, it became clear to me that ROCOR had become balkanized into three groups. It should be noted that this was the period prior to the fall of the Soviet Union (1991) when it was extremely difficult to leave the Soviet Union for any reason. This was the period of time when the Iron Curtain was quite real. Those that came through it during this “3rd immigration” (and subsequent “fourth” immigration) were quite different in their values, mannerisms, and background from the Russian refugees of the first two immigrations (WWs I and II). (It might also be of interest to note that this was the period during which the newly made “Bishop” Andrei Erastov immigrated to the USA.) Simultaneously, the generation of great ROCOR bishops, clergy and laity who established ROCOR with its many magnificent monasteries and parishes in the West was coming towards its end. Time and age were taking their toll. Unfortunately, its over-all replacement generation had not the same ecclesiology, background, nor determination. Gradually, but steadily, the Laurus-ites took over the ROCOR, leaving the Philaret-ites as foreigners in their own country. By the end of the 1980’s, the significance of the 1983 Anathema against Ecumenism was intentionally diminished. By 1994, this Anathema was replaced with Cyprianism – approved as ROCOR’s ecclesiology by a Sobor. The Laurus-ites were victorious. The Philaret-ites were either already, or about to be, forced out of the newly re-routed ROCOR. Of course, the Hilarion-ites would simply go along to get along. After all, what’s all the fuss about? They could still maintain their self-perceived version of ROCOR as nationalists, Jordanville-ites, anti-Soviets, etc. (For example, Archpriest Stefan Sabelnik (future temporary RTOC bishop) happily continued serving with, and receiving awards from, the new Met. Laurus, all while the elder Metropolitan Vitaly suffered physical persecution and even house arrest at Laurus’ hands.) These Hilarion-ites simply did not fundamentally understand what was taking place. They did not get it. Yet, for the Philaret-ites and the Laurus-ites, all was clear. Both knew what would happen during the next decade. Now, we find ourselves some three decades later, and ten years after the infamous betrayal of everything the “Golden Age” ROCOR stood for. Although they are still referred to as ROCOR, the Laurus-ites managed to grow themselves a hyphenated appendage, ROCOR-MP. Hence, ROCOR, as we knew it, officially does not exist. What happened to the three groups? The Laurus-ites took their empty vessel (for God will not be mocked) and tied it to the rotting, and grounded shipwreck called the MP. Most of the Hilarion-ites sighed with the socially acceptable amount of measured surprise (as if just learning of the death of distant little-known relative) and went along, arm-in-arm with their Laurus-ite leadership. By now, most of the Philaret-ites are with the RTOC Synod, while others are gradually making their way to it. The phenomenon we are observing is with the remaining Hilarion-ites. And, it is not that they “don’t get it.” They never did. The phenomenon here is that they are trying to get somewhere by accomplishing something, all without having acquired the knowledge, understanding or ability to accomplish anything. The “go along to get along” mode does not work here. They clearly need a miracle to guide them. Yet, they will not even follow the canons to demonstrate a sincere desire as an attempted beginning before God. These Hilarion-ites definitely reject the company of the Philaret-ites. It is not that the Hilarion-ites understand ecclesiology. It is because they have little interest (or ability) to articulate and maintain an ecclesiology setting definite boundaries of the Church according to the canonical traditions of the Church Fathers. Unfortunately, their own lack of an Orthodox ecclesiology leaves them susceptible to the sirens’ song of the Laurus-ites’ World Orthodoxy. Ironically, at least for now, most of these Hilarion-ites (who refused to join the Laurus-ites) awoke to something at the 11th hour of the great betrayal. Yet, ten years later, they still are unable to articulate what that was. What is clear is that they want the ROCOR monicker. Yet, they do not understand what it is that ROCOR stood for. By their actions, they actually reject all that which ROCOR stood for. Such a weak position might, before long, bring them right into the arms of the MP. The mission of ROCOR was not to preserve ROCOR. ROCOR’s mission was to preserve the Russian Orthodox Church, while it was enduring some of the worst persecution in history, in spite of the efforts of the MP usurper to establish itself in its stead. As I wrote in an earlier letter to a parishioner, the Hilarion-ites view themselves as splinters of the ROCOR. Their error here is that the Church does not exist in splinters. If anything, such an ecclesiology puts these Hilarion-ites outside of the Church, and their continued lack of canonicity only adds darkness to their confusion. Furthermore, if they plan to restore the Russian Orthodox Church Outside of Russia, what Russian Orthodox Church inside of Russia does their uncanonical status represent? Given that many of them reject anyone who is in or from the former Soviet Union, how can the Russian Orthodox Church inside of Russia even exist in their own eyes? Does their new ROCOR somehow gain immaculate autocephaly? 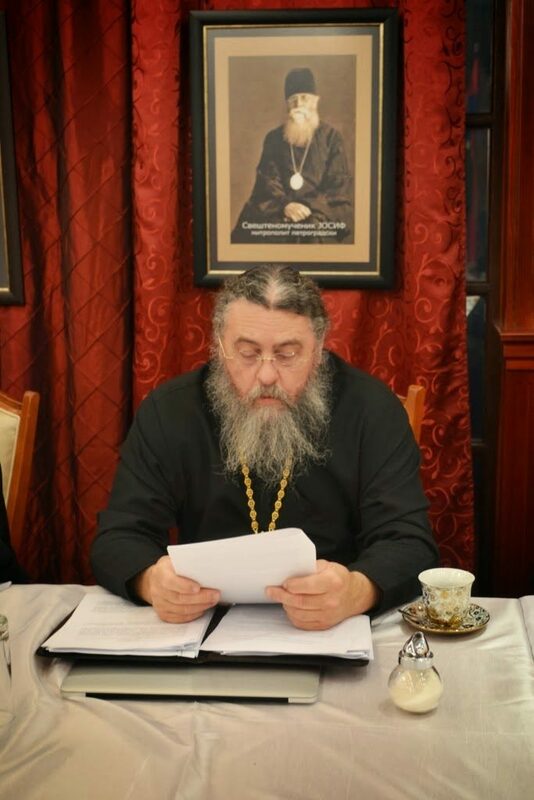 The latest splinter-circus we have witnessed is that of “Bishop” Andrei Erastov’s ordination by a uncanonical, quasi-synod with no ecclesiology other than: “Look! We are ROCOR because we are (fill in the word – Jordanville-ites, nationalists, not Soviets, etc. 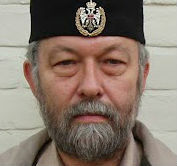 )!” Vladimir Moss dutifully spent much time and energy educating and shedding some light on the errors of “Bishop” Andrei and those with him. “Bishop” Andrei spent a good deal of time confusing the issue for many, but essentially admitting that he does not understand Vladimir Moss’ response. Does “Bishop” Andrei really not understand, or is he simply a disingenuous infiltrator from the former Soviet Union? Perhaps, time will tell. It may be simply a tactic to engage people into a myriad of conversations, leading all to forget the main issue – the illegitimacy of a “vagante” (vagrant) quasi-synod. Meanwhile, there is no reason for us to pursue unknown suspicions. Let it suffice for us to adhere to the facts, keeping them, as they say, front and center. It all began with two bishops, suspended and retired by their own respective synods. Granted, the two synods (RTOC and ROCOR-Agafangel) do not recognize each other. Nonetheless, this does not detract from the illegitimacy of the outcome. For the sake of clarity, let us, once again, trace their origin and canonicity directly from the ROCOR. The RTOC began shortly after Metropolitan Vitaly came out of retirement by leaving his false brethren (the Laurus-ites) in 2001. 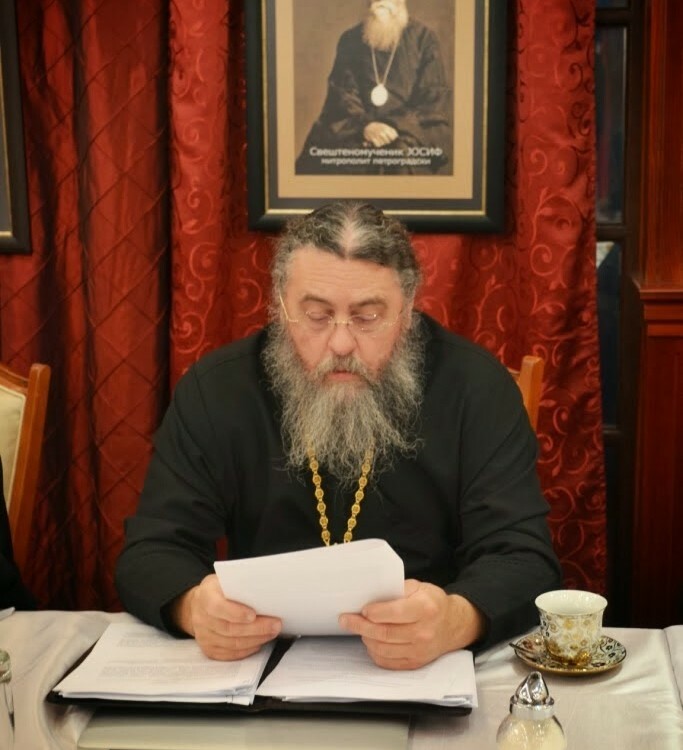 Two canonical Russian hierarchs from ROCOR, Archbishop Lazar and Archbishop Benjamin, rejected Metropolitan Laurus’ decision to join the Moscow Patriarchate, and formed their own synod (RTOC). After the infamous union between ROCOR and the MP, the RTOC Synod ordained Archpriest Stefan Sabelnik as bishop for North America. With time, due to his statements, actions and decisions, the RTOC Synod decided to retire and suspend Bishop Stefan from serving altogether, until such time that he repents of his deeds. Bishop Stefan Sabelnik ignored this decision, continued to serve, and declared himself autonomous. Bishop Stefan left his canonical synod on the grounds that it lacked “sobornost,” a questionable reason from a canonical perspective, at the very least. Bishop (later Metropolitan) Agafangel left the ROCOR (Laurus-ites) at the 11th hour, claiming to be the only remaining legitimate ROCOR bishop, and stating that those who left ROCOR earlier were schismatics. Instead of joining with his former brethren in the RTOC, Bishop Agafangel turned to the Cyprianites (defrocked in the 1980’s by their own synod in Greece (TGOC)). Together with the Cyprianite bishops, Bishop Agafangel ordained all of the bishops in his synod (ROCOR-A), including the present Archbishop Andronik and his associate, Bishop Sophrony. In this manner, Bishop Agafangel placed his entire newly ordained synod into an uncanonical situation. One would think that a future bishop might have some reservations regarding being ordained by defrocked bishops. That is unless he did not understand the situation even then. Indeed, even then, the Hilarion-ites were true to form. Although it was not all that complex, the soon-to-be Bishop Andronik just did not understand the lack of canonicity of the situation. Eventually, the bishops Andronik and Sophrony, left Agafangel’s synod due to diocesan/jurisdictional disputes, and with the accusation that the ROCOR-A Synod was simply a “rubber stamp” for Agafangel’s desires – another questionable reason from a canonical perspective. They too were retired and suspended from serving altogether by their synod. Ignoring the decisions of their respective synods, these retired and suspended bishops came to have an administrative agreement to have no administration – just a condition where each would rule his free-floating diocese as he sees fit, and meet with others of similar confused state when the fog clears long enough to need a decision of a joint-like nature. Finally, in an act of self-justification, they based this opioid arrangement on Patriarch Tikhon’s famous Ukaz 362, which, of course, does not apply at all, and which, of course, none of them understand. So, what do the Right Rev.’s Stefan and Andronik (not to forget Sophrony) have in common. They have committed a series of similar uncanonical actions, which have led to an uncanonical mess of a situation. They have confused and led astray the flock entrusted to them. (Bishop Stefan has even preached heresy against the Dogma of the Church. Of course, none of these bishops have yet to understand this.) They are both Jordanville-ites. And, of course, they are all Hilarion-ites. What is there to understand? And so, we get to their newly made bishop (by quasi-synodal agreement). One would think that, with such a trail of uncanonical decisions/actions, a future bishop might hesitate over receiving an ordination from such a hapless lot? One might have the suspicion that God will not be mocked – that such an ordination would not happen legitimately – that at the very least he might be uncanonical – that perhaps he will not even be a bishop? Not so with the newly-made “Bishop” Andrei Erastov! Everything is OK! He just doesn’t get it. Or does he? As for those who do “get it,” I suggest we avoid prolonged discussions with such socalled “bishops.” Much like the MP is a questionable church due to its initial formation, similarly, this ROCOR-SiR-AASSA (ROCOR-Synod in Resistance (Cyprianites)- Agafangel,Andronik,Sofroney,Stefan,Andrei) is entirely uncanonical and illegitimate based upon its foundation. If the root is rotten, what is there to say about a possible tree? If one recognizes either of the synods from which these bishops have acquired their succession, then one cannot recognize the services and actions of said bishops as being legitimate. If one does not recognize either of their synods of origin, their services still remain entirely illegitimate. So, the question at hand remains to be answered: Is “Bishop Andrei (Erastov) truly a bishop, or perhaps a similar facsimile – a “vagante” representative of a deteriorating uncanonical process?